A candidate will spend a day at school paired with a student guide. The visit day includes the family interview. We serve a snack and a complimentary lunch, but your child is welcome to bring food from home if he/she prefers. Please call Joy Phelps at 253.284.8602 to schedule the visit day and family interview. Ticket to Thrive is the last step in the admission process that includes the required academic assessments and more opportunities to learn about the Middle School experience. 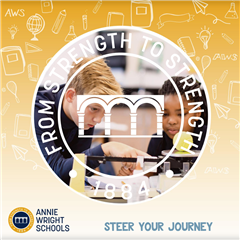 Check out our Middle School brochure.